There are plenty of great Android Twitter clients available, but we keep coming back to the official Twitter for Android app because it’s clean, easy to use, and it gets the job done. Plus, the app was recently updated with multiple account support and push notifications, making it even better. 如果你对自己说过”如果在这种情况下,　我希望手机做那个”而又不想自己动手,　Tasker就是为你准备的.不必是Android高手,　你也能使用Tasker大部分功能-当然如果你是高手的话,　那就更好了. 想手机一到办公室就自动打开WiFi,　或者一上车就自动打开蓝牙? Tasker是你完美的选择. Voice Search has been upgraded several times since it made the pack last year, and if you’re not making use of it, you should be. The app now lets you navigate by voice command just by speaking the address, send emails and SMS messages by speaking the recipient and then the message, and of course, search the web quickly by talking to your phone. Once you get used to dictating your SMS messages while driving, you’ll never feel the urge to text while driving again. You don’t have to be in on the Google Music beta to download and install the new Music Beta player for your Android phone. It helps, but the Music Beta player also plays the music on your Android device, and looks much better than the stock music player that ships with Android. You can browse by tiled album art, switch to landscape mode to flick through cover art to find a song, or scroll through a list of album or artist names while the persistent player at the bottom makes sure you don’t have to stop the music to search. Pandora is almost ubiquitous, but its Android app is a pleasure to use, especially while driving. The app offers access to all of your stations and ratings on the go, and can automatically adjust your stream quality based on the data connection you have. Creating new stations on your phone is easy, and your new stations will be available on the desktop the next time you get to a computer. Google Listen may be ubiquitous when it comes to downloading and enjoying podcasts on your Android phone, but Doggcatcher is probably the best app for the job. The app supports audio and video podcasts, variable speed playback, off-hours downloads or Wi-Fi only downloads, and even though it’s pricey, many of you thought it was more than worth the money when we looked at the best mobile podcast catchers. Spotify’s launch in the US was big news, and if you’ve scored an invite to the service or signed up for a premium or unlimited account, you can take your music with you using the Spotify app for Android. For Spotify free or Unlimited users, you can use the mobile app to sync your own music collection with the app, but Premium users get the benefit or offline playback and the ability to search Spotify’s database of music on the go and listen to new music at any time. FourSquare has come a ways from just being a way to tell the world where you are at any given moment and collect points to see outgoing you are compared to your friends. Now that the service is rolling in local deals and check-in bonuses and benefits with businesses in communities around the country, FourSquare can be a great way to have a little fun checking in and sharing your location with friends, but also a great way to save a few bucks on appetizers and drinks at your local bar. Yelp is still the best way to find a new place to eat or something to do in your area. Take location reviews with a grain of salt (the way you should for anything on the web) but Yelp’s ability to show you what’s in your immediate vicinity either by map or augmented reality view are fun to use. Even if you’re not interested in the fun factor and just want to find a place that’s open at 3 in the morning and you’re hungry, Yelp is there for you. iOS users have Instagram, but everyone has PicPlz, another social network/photo sharing service that will remix your photos with filters and effects to add interest and then share them with your friends on the service and with your friends on Flickr, Twitter, Facebook, Foursquare, and other networks. PicPlz will even drop your photos on Dropbox so you can get to them on other devices if you want. Magic Hour, named for those first and last sunlit hours of the day where the light is perfect for shooting video and capturing gorgeous photos, offers filters and photo editing tools to tweak your photos on your Android phone. You can apply simple filters to add interest, or you can change the brightness, contrast, or build your own filters to apply, and then share the final product with friends. Check out the free version to get a feel for the app before buying filters or buying the full version. Twitter clients are a point of contention for many people – everyone has their favorite. If you dislike the official Twitter client, TweetDeck gives you access to your Twitter feed and your Facebook stream in one app, and many of you have suggested Twicca to us as a beautiful client that’s worth mention – so we took a look. Also, it’s worth noting that Twidroyd was our App Pack selection for Best Twitter client. Swype is certainly the ubiquitous alternative Android keyboard, but it’s not the only one out there. We’ve discussed some of the best Android keyboards out there based on the type of typer you are, so don’t stick with Swype just because you have it. 8pen may look wacky, but once you start using it, it’s remarkably intuitive, and Swiftkey’s latest updates make it even more attractive and easy to use, especially for tablet users. This list is hardly exclusive, and there are tons of other great Android apps we couldn’t feature here. Do you have Android apps not listed that you can’t live without? Share your favorites in the comments below. Dropbox is still the best file syncing tool around, letting you back up files to the web and sync them between all of your machines and mobile devices. You get 2GB of space to start, but it’s easy to get more space for free, and useful for so much more than just syncing your documents. It’s a must have on any system you own. If you don’t like Dropbox or have problems with it’s recent security issues, there are a lot of alternatives out there to consider. Chrome may be our favorite browser, but that doesn’t mean Firefox doesn’t have anything going for it. 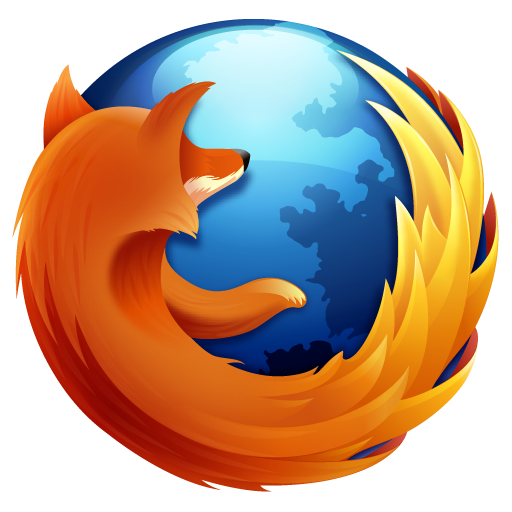 Firefox is still more customizable than any other browser you’ll find, and it’s getting faster all the time. And, with multiple channels, a rapid release cycle, and a new interface on the way, it’s catching up to Chrome big time. OpenOffice doesn’t have the momentum it used to, and the OpenOffice community has left Oracle’s offering in favor of LibreOffice, the new standard open-source office suite. It’s got a few features OpenOffice doesn’t, as well as a more active community. If you don’t want to pay for Microsoft’s offerings, LibreOffice is the way to go. Love it or hate it, many of you might need to edit documents in Microsoft Office (or at least view them). Thus, we’ve added a trial version of Office 2007 Standard to the pack, as well as the Office Viewers for those that only need to open a file here and there. You’re probably going to need all three of these frameworks for something. Better to install them all now and get it over with—after all, waiting for Silverlight to download is a pretty big buzzkill when all you want to do is watch Netflix. Accidentally deleting files is a horrifying thing that can happen to anyone. Recuva can often get it back, so it’s a good tool to have in your back pocket to help keep you cool in those emergencies. When you have to copy big files between drives, TeraCopy is a great alternative to Windows Explorer. It’ll move them as fast as possible, pause and resume, and even recover from errors. Windows Media Player is actually a pretty nice player, and if you’d rather use it than install a separate program, this pack of codecs will make sure that it—and any other player—can handle every video format you might run into. We understand that many of you are still in love with VLC, and we understand—it might not be our favorite video player, but it’s still one of the best and most popular out there. If you can’t live without the lightweight, play-anything VLC, we’ve included it in the extended pack for you. 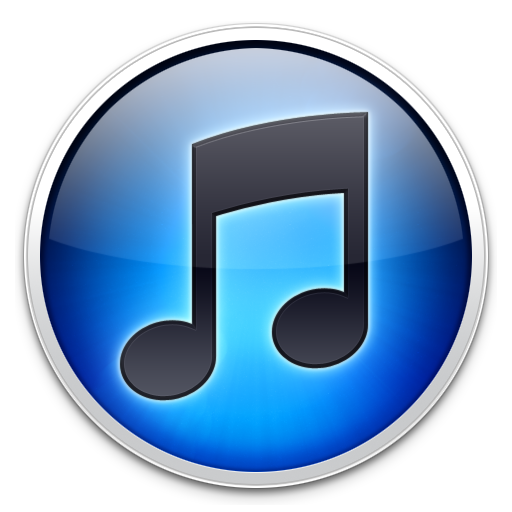 If you’re lucky enough to be free of iTunes (or you only use it to manage your iPod), these three players are some fantastic music managers. Foobar2000 is minimal and customizable, MediaMonkey is an library-organizing monster, and Winamp is just a great all-around player for any user. While the above players are each desktop powerhouses in their own right, we’ve also fallen in love with the cloud music service Spotify. It’s great for discovering new music and testing it out before you buy, so even if you have a local music player, we can’t recommend Spotify enough. It’s slow, naggy about updates, and somewhat insecure, but unfortunately, sometimes you just need Adobe Reader. 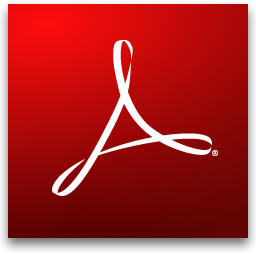 Whether you’ve got PDF files with special features Sumatra doesn’t support, or your file just won’t open correctly, chances are it’ll work in Adobe Reader. We recommend keeping SumatraPDF as your default reader, and keeping Adobe around for those unfortunate occasions. it’s one of the geekier selections on our list, so it isn’t for everybody, but AutoHotkey is one of the most powerful, useful programs you can get for Windows. With just a bit of code, you can turn just about any action in to a keyboard shortcut, or even create your own little programs. It may look intimidating, but it’s surprisingly easy to learn, so if you’ve ever thought “my life would be perfect if I just had this keyboard shortcut”, AutoHotkey is a godsend. 其他语言支持：English, German, Spanish, 中文, French, Italian, Greek, Dutch, Swedish, Norwegian, Suomi, Japanese, Portuguese, Bulgarian, Russian and Danish. 其他相关信息: 支持下列协议：POP3, SSL POP3, IMAP, HTTP (MSN, Yahoo, AOL), Exchange (with Outclass extension). 其他相关信息: 支持下列协议：POP3, SSL POP3, IMAP, HTTP (MSN, Yahoo, AOL), Exchange. 支持操作系统：Windows XP/2000 SP3+ Mac OS X 10.2+, or Linux. http://www.x1.com X1 Enterprise Client, 个人免费, Windows XP, 12.9MB. 支持操作系统：95/98/98SE/Me/NT SP4/2000/XP Home/Professional/XP SP1/XP SP2/Vista. 64位兼容: 64-bit (x86-64, IA-64) : Windows XP/2003, Server 2003,Server 2003R2, Vista.